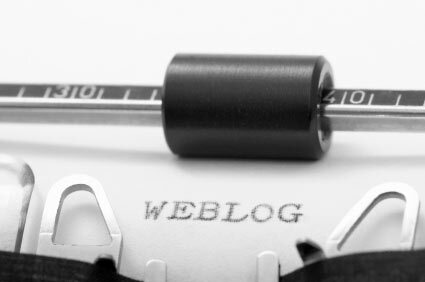 What is a Blog…and What Does it Do? First of all…. Blog is short for weBLOG, in case you were wondering. When I talk about blogging, so many business owners and middle managers ask “Why should I do that? It takes too much time and, besides, I already have a web site!”. A traditional web site has its advantages: Flexibility of design and ability to program complex functions, like a large Ecommerce store, or a special database of information for users. Maybe you need a creative interface to help users shop for products…. like you see when auto manufacturers sell online and allow shoppers to change colors and accessories on the fly. Traditional sites are the best way to go right now for these uses. But for ease of use, engaging with your customers, and mining for marketing information, there’s nothing like a blog (unless it’s Twitter… but we’ll talk about that in another post). 1. Easy Installation: You can start at WordPress.com, choose a theme and you’re happenin’! For a blog hosted on your site (which offers more features and customization for larger companies) many Internet Service providers make it a push-button operation. Especially with a C-Panel control panel. Ask your service provider if they offer C-Panel controls. It will reduce your costs and make it easier to start up new features on your site. Spry.com and Crucialwebhost.com are two that I know of. 2. Makes Marketing Easy: Blogs offer a Word-like interface for writing your posts. This ease of use encourages a more immediate and journalistic style of writing that engages your readers. Rather than simply writing web pages that sound like they should be engraved on a monument, your personality shines through. It’s a very natural way of conveying a unique marketing stance and establishing credibility in your community. 3. Really Connect with Your Customers: After you’ve written an article or posted a video like the one I’ve included from CommonCraft, your readers can connect with you by leaving comments on any post you write. Needless to say, you can find out a lot about your audience in this way. This information can help you write better posts…. or create new service offerings based on actual customer feedback! You can also implement mailing lists, polls and surveys simply by installing a plug-in (a small bit of add-on software). Think about how valuable it would be to connect with your customers or potential customers in this way. 4. It’s a Broadcast…on Autopilot! That’s right, all blog sites broadcast an RSS feed (Really Simple Syndication). That’s a public broadcast that your readers can subscribe to and then read without even coming to your site! Your “electronic newsletter” is automatically updated on their readers or their blogs every time you post a new article. That broadcast can also be picked up by news services, other blogs and social networking sites like MySpace or Facebook out on the web to help spread your message without your having to lift a finger! Other free features enable you to automatically email your subscribers each time you post a new article. 5. It’s Fast: Not only is it easy to create….. but your published post goes out to Google and the web community in minutes instead of days or weeks! I read a recent article where multiple bloggers confirmed that their blog articles were picked up out on the web in less than 10 minutes! The “Blogosphere” is wired for speed! 6. Inexpensive for Niche Marketing: This is one of the most important benefits for any business, large or small. You no longer have to look for the biggest markets to justify the expense of marketing and sales! You can easily afford to start a blog for each product line or demographic segment and speak to JUST THOSE PEOPLE. The cost of running a blog is nothing compared to the cost of magazine advertising or trade shows. You can have several in-house experts (or virtual assistants!) carry the writing load and have a dynamic “blogozine” that outdistances any PR company.